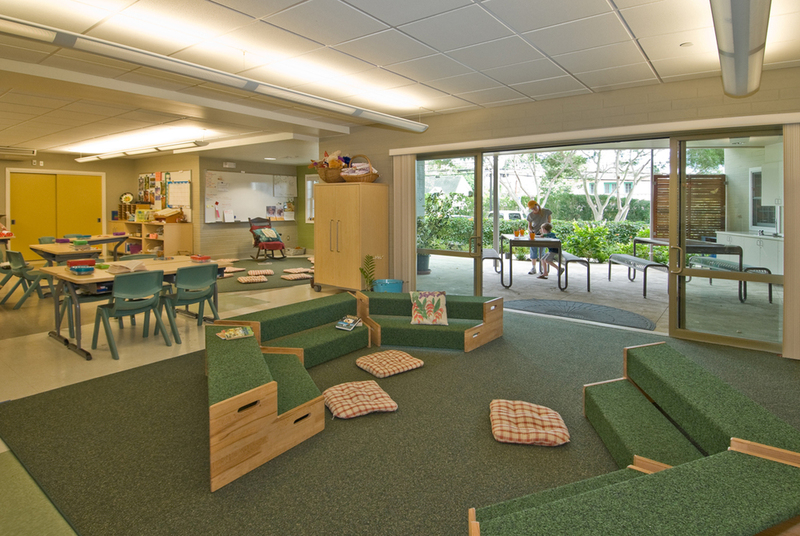 Hanahau'oli School — Geoffrey Lewis Architect, Inc. 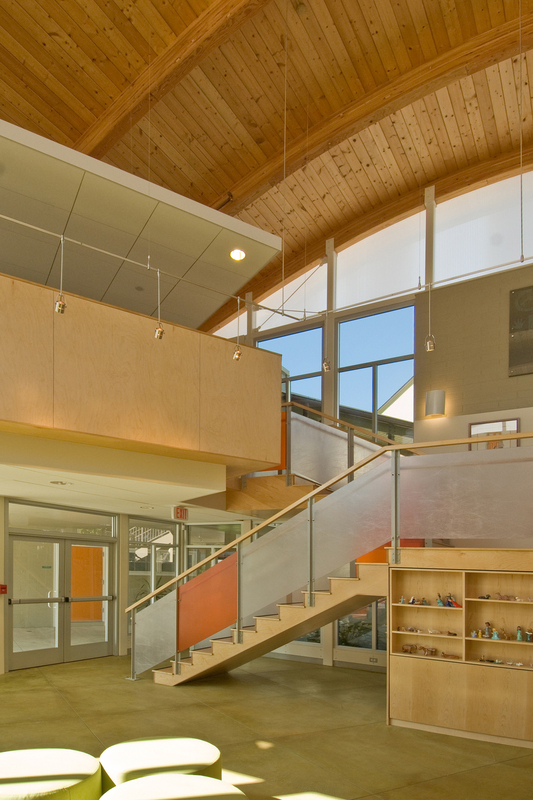 This exciting project was a collaborative effort between the firm of Urban Works and GLAI. Their principal, Lorrin Matsunaga and I saw this as a great opportunity to join creative forces and design a wonderful learning environment for Hanahau’oli School. 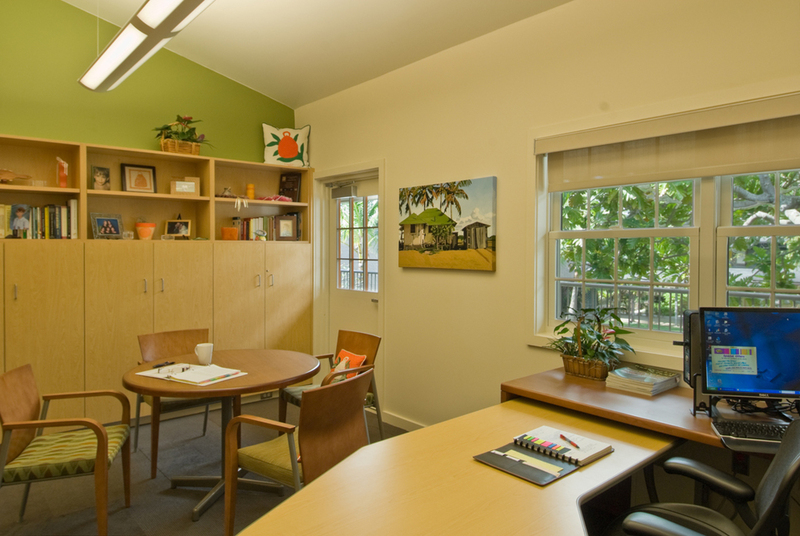 This project was the final phase of the campus master plan which included the Po’e Kanahele classroom (4 and 5 graders), the new Administration Offices, a Peer Development Center (PDC) and Entry/Gallery space. The project has two very different faces. 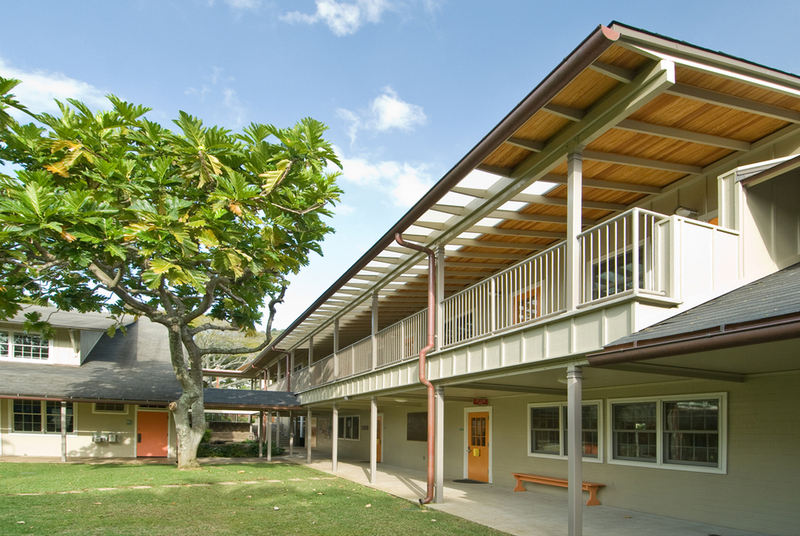 The entry façade adjacent to Makiki Heights Drive has become the face of the school to both the community and the public at large. Hanahau’oli children are known for their creativity, self confidence and amazing compassion. We saw this public face as an opportunity to share their attributes and present Hanahau’oli with an architectural creativity that exemplifies the children within. The main structure maintains the simple gable roof massing associating itself to the overall campus language and skewed on each end are the ‘wings’ of energy, creatively and self confidence. The ‘wings’ house the Entry/Gallery which is a two story space on the Mauka side and the PDC on the second floor of the Makai ‘wing’. As the Head Master so proudly says, “these are the wings we give the children when they leave Hanahau’oli”. The Gallery has become a show case for the children’s creatively, exhibiting their art work so proudly. The interior façade plays just as important a role as it completes the gathering space at the interior courtyard. The new building’s role here was strictly to complete this very special courtyard without competing with its role as the ‘Heart of the Hanahau’oli’. The addition of the balcony provides a wonderful new perspective into the courtyard as well as an intimate relationship with the Ulu tree.